Leona Pearl McCourt, 85 of Webster Springs passed away on Monday, April 08, 201 at River Oaks Nursing Center in Clarksburg. She was born August 10, 1933 in Webster Springs to Bennie and Ida Carpenter McCourt and was a homemaker. 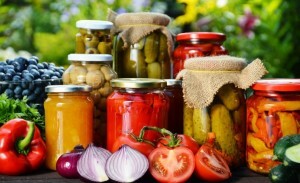 She enjoyed gardening, canning, and cooking as well as the outdoors. She loved animals, especially sheep and lambs. Leona is survived by her companion Otis Gregory; step-brother Michael Walker; several nieces and nephews; and other extended family and friends. She was preceded in death by her parents and sisters Edith Green, Louise Maahs, and Barbara McCourt. Friends may join the family for visitation on Friday, April 12, 2019 from 12-2 PM at Dodd & Reed Funeral Home. Services to celebrate Leona’s life will be held at 2 PM with Rev. Eddie Green officiating. Private interment will be in Bennie McCourt Cemetery, Webster Springs.